Lately, there have been loud rumblings accompanied by mysterious earthquakes in the village. This phenomenon has been named “The Giant of Harusu”. In this village being flooded with curious tourists, the main character will work as a waiter at a restaurant alongside his friends. The main character also receives a warning from one of his friends soon after moving in. “Don’t go anywhere near the fountain in the village’s plaza.” He will soon come find out what kind of threat it poses. 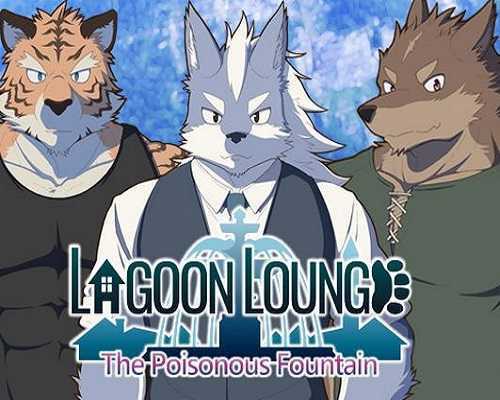 Lagoon Lounge, originally known as Himitsuri no Lagoon in Japanese, is the first game of a trilogy released back then in 2012. It got translated in English officially back then in 2014. This version is actually a remake of it, despite being announced back then as a remaster. There’s not a lot of differences, other than the upgrade in visuals, engine, sounds additions of music, and the addition of the character Arashi. The author also cut a certain scene with the only underage character, thankfully. Game Contents – This visual novel has furry characters and homosexual content. This game’s system emphasizes convenience and replayability, so you can chose any episode from a list after reading and easily make different choices. Languages – This game supports multiple languages. With the press of a key, you can switch languages anytime during gameplay. This is a great tool for learning a new language! 0 Comments ON " Lagoon Lounge The Poisonous Fountain Free Download "